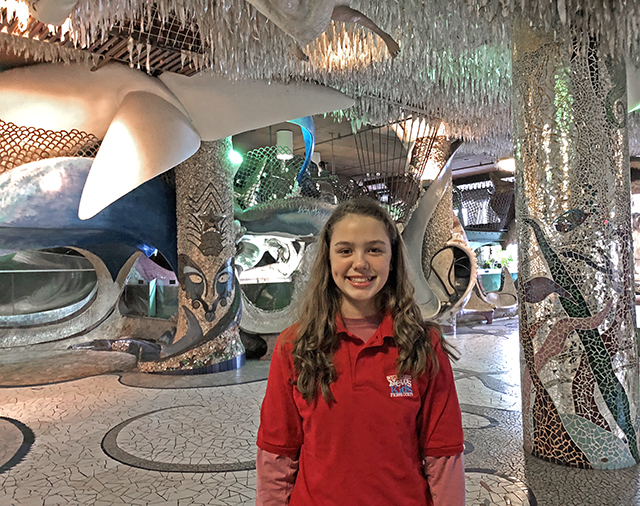 A Museum Like No Other | Kid Reporters' Notebook | Scholastic Inc.
Click below to see clips from Lilian’s tour of the City Museum in St. Louis. While on a recent road trip with my family, I visited the City Museum in St. Louis, Missouri. Built by artist and sculptor Bob Cassilly in 1997, the museum is part indoor playground, part funhouse, and part architectural wonder. It gets more than 740,000 visitors each year. Once home to a shoe factory, the museum is filled with building remnants, construction materials, and vehicles that have been repurposed. This “urban playground” consists of cement-chute mixers that have been transformed into slides, icicles made of fiberglass, and salvaged bridges. You’ll even find an old school bus perched on the edge of the roof. There is fun inside and out. MonstroCity is a giant, outdoor jungle gym that features old airplanes, a fire truck, a castle turret, and two ball pits. People of all ages can crawl through twisting metal tunnels suspended in the air and whir down 10-story slides. The museum’s MonstroCity features two airplanes, a fire engine, and four-foot-wide tunnels that visitors can crawl through. The City Museum wants visitors to explore. As a result, there are no maps. When you enter a tunnel, you have no idea where it will lead. That’s part of the fun. Many of the tunnels are tight squeezes. For someone like me who is a bit claustrophobic, it can be nerve-wracking to climb through such enclosed spaces. But after a while, I grew more confident. The museum helps kids face their fears, whether it’s of the dark, heights, or enclosed spaces. Other museums teach about history, art, or science. The City Museum is simply designed to inspire a sense of wonder. During your explorations, you might want to bring along a flashlight and knee pads.